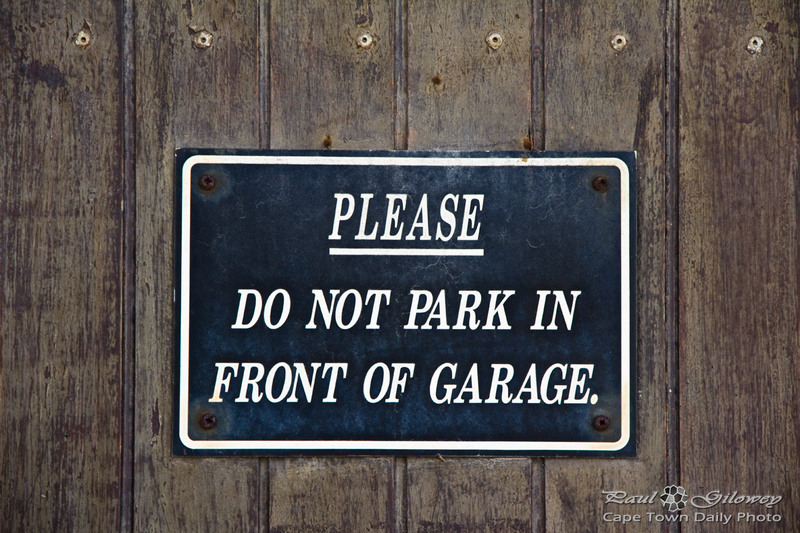 Don't you think it's nice of the owner to place such a kindly-worded sign on their garage door? Signs can often be unnecessarily rude, seeming to accuse the reader of a heinous offence without them even considering the act. I recently saw a sign pasted on an office printer: "DO NOT PRINT A4 WITH THIS PRINTER!!!". Someone had clearly tried printing in A4 on our communal A3 printer - and I guess that was a big no-no. However, a more appropriate sign may have read "Please don't print in A4 to this printer, it causes bla bla bla.". Next time you create a sign, try making it a little more friendly - or if you're able, include a little humour. The world will be a far friendlier place. Posted in General and tagged signs on Tuesday, 12 June, 2012 by Paul. Oh yes, it’s so true.